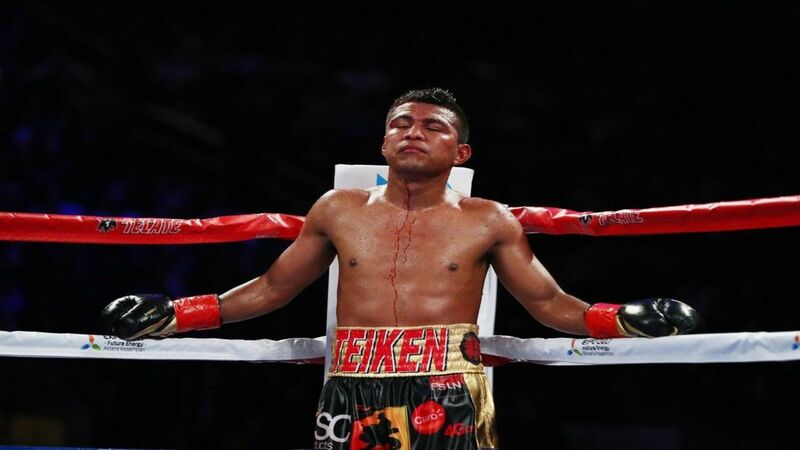 Former four division world champion Roman “Chocolatito” Gonzalez held a press conference to confirm that Gustavo Herrera is his new trainer and Alfredo Corrales as being in charge of his physical conditioning. Gonzalez was defeated by Sor Rungvisai twice last year, once by decision and was brutally knocked out last September in the rematch as the main event of the Super Fly card on HBO. “Gustavo Herrera is one of the men who knows how much it cost me to get to the top. I remember we started working from far below, after I had my father Luis Gonzalez and three-time champion Alexis Arguello managed to crown me. With him being there for the first time, who better than him to start this new stage,” said Gonzalez. Herrera gave his thoughts on the Nicaraguan’s decision to ask him to train him. González said he will travel to Japan next week to meet with his promoter Akihiko Honda, director of Teiken Promotions. “My next opponent and the location of my fight will be made known after my upcoming trip. I will go there with my agent Carlos Blandon and I trust in God that 2018 will be a much better year than 2017,” said Gonzalez. Gonzalez also said he plans to stay in the 115lb division and Herrera echoed support of this decision. Both believe it would be best for Gonzalez to take a tune-up and then evaluate their position within the division before deciding to challenge for a world title.